I have employed this solution and I find it works quite well. Once I added the anti-backlash component, the quality and accuracy during PCB milling was improved considerably. It is made of a standard Hex Coupling Nut and a Stanley 118 Mending Brace. These need to be carefully aligned and welded to form a strong, single piece. It is secured to the axis by two #8 x 3/4 flat head wood screws. Caution: Use extra care when mounting this part to avoid any binding or bending of the drive screw. The fit should be as passive as possible. To improve repeatability for fine work like PCB isolation routing, I needed to eliminate backlash which was causing wavy, uneven traces during etching. I came up with a simple and effective solution that used a square nut, a spring and two small L brackets. The idea is to ‘pinch’ the spring between the square nut and the lead screw nut, thereby always ‘pushing’ the lead screw away from the square nut (which remains fixed to the lead screw. Change the spring to impact the amount of backlash control. Adjust the square nut to provide the proper tension (e.g. 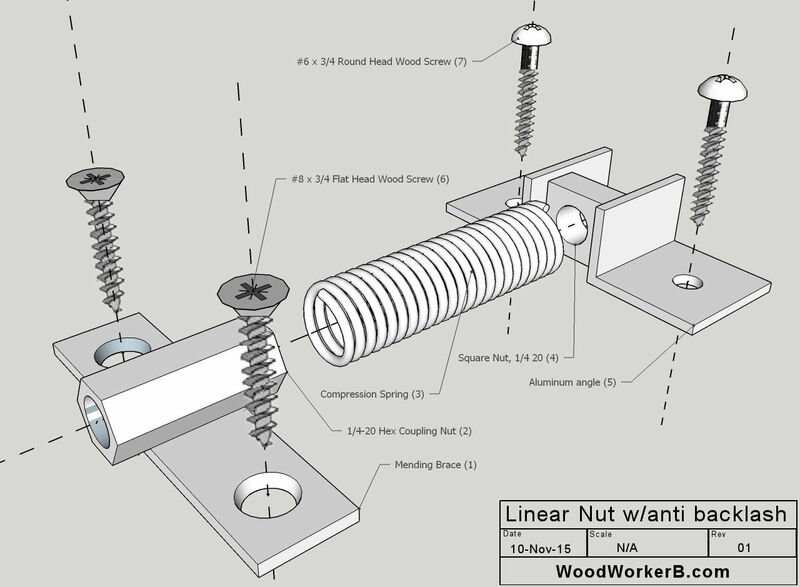 “whatever feels about right”) on the spring, then ‘capture’ the nut between the two L brackets (with #6 x 3/4 wood screws). 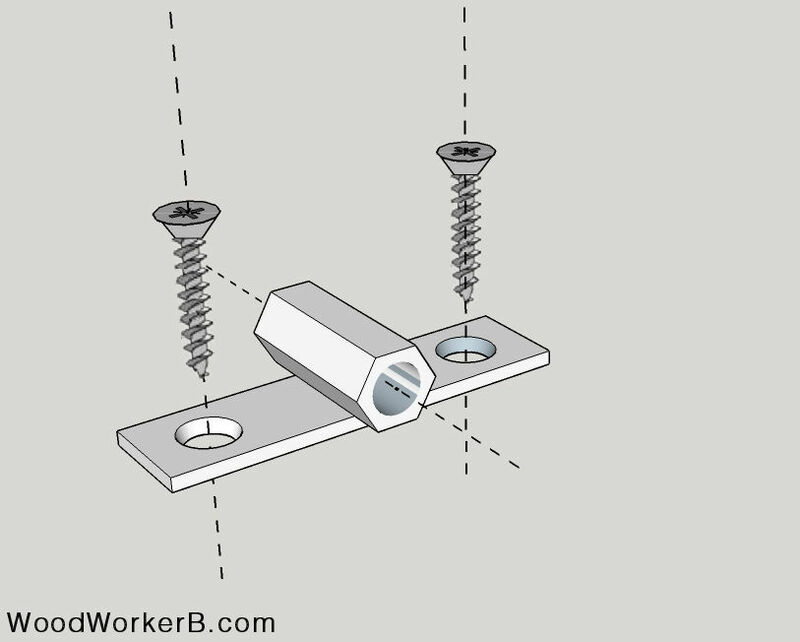 This will ensure the square nut remains the exact distance from the lead screw nut. The square nut does not need to be “pinched” tightly between the L brackets, but close enough to prevent the nut from turning . Three required, parts list is for quantity 1 (one).